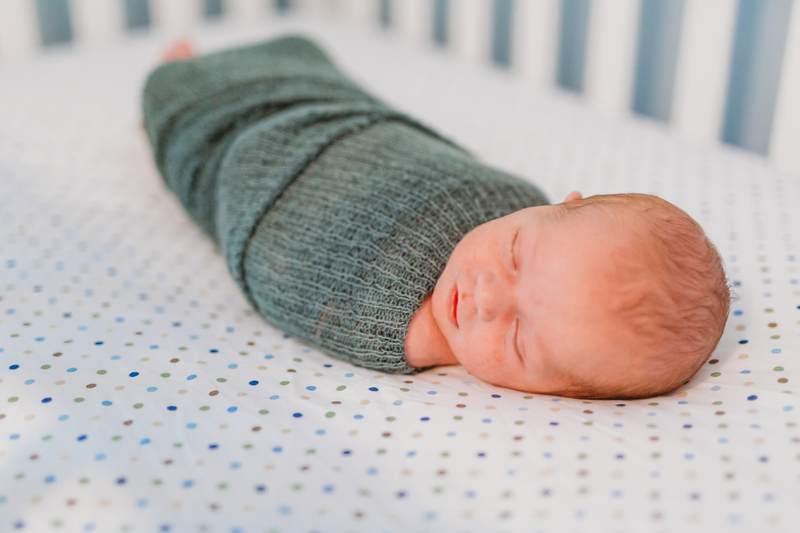 Seaside Sleep Consulting is a pediatric sleep consulting practice, located in Wilmington, NC, who works with families and children ages 4 months to 5 years of age. Certified by the Family Sleep Institute, it is my goal to provide parents with skills, knowledge and support in empowering them to guide their children to develop healthy sleep patterns that are age and developmentally appropriate. I work with each family to develop a customized sleep plan in which they are most comfortable with based on their parenting style and philosophies. I focus on each family’s unique needs and desired outcomes as a whole. My goal is to get everyone the sleep they need and deserve. I am looking forward to working with you and your families to help them in any way I can! Recommended hours of sleep by age can vary greatly, but is your child getting the correct amount of quality sleep they need? Newborns (age 0-3 months) require a recommended 14-17 hours of sleep each day. Infants (age 4-11 months) should be getting 12-15 hours of sleep including naps daily. Toddlers (age 1-2 years) need 11-14 hours of sleep and Preschoolers (age 3-5 years) depend on 10-13 hours of sleep for optimal daily function. How many quality hours of sleep is your child getting? If they aren’t getting the proper amount of sleep for their age your child’s development, concentration, mood and growth can be affected greatly. Let Seaside Sleep Consulting help you develop a plan and give you the tools to help solve your child’s sleeping challenges receive the rest they need to succeed. Hear what others are saying about our services! Update to my first five star review... if I could give Breni 10 stars I would. I have a very persistent and strong willed 6 month old. It took almost two weeks of a crying baby before our routine kicked in and she started falling asleep on her own. Breni stuck with us and answered all of my emails PROMPTLY! She is so sweet and encouraging (which is exactly what you need when you're crying right along with your baby!) I've done lots of Research on sleep training and definitely had information overload. Breni helped me apply this information to our situation with our infant, and ease some fears I had with sleep training. I recommend her to all parents with infants! Breni was absolutely fantastic at helping my 11 month old FINALLY learn to not only sleep through the night, but also take substantial naps throughout the day. I was at my wits end with trying to get my child to sleep for longer than 3 1/2 hours at a time. We bed shared and breastfed from day one, and had some behaviors that needed to be modified, but Breni never once recommended that I stop breastfeeding. She assessed every single thing that was going on throughout our day, and pinpointed the reason why my daughter was not sleeping. By night two of her plan, C slept through the night for 12 hours straight! She also took two very good naps throughout the day the next day! We are two weeks into the program, and my daughter is sleeping through the night every single night, and taking her naps like clockwork. This was the best money I've ever spent, and I am able to be a better wife and mother because not only is my child finally sleeping, but I also am. I feel like a million bucks, and my daughter has experienced a noticeable difference in her development simply from getting the rest she needs. I should have hired Breni months ago! Can I just say we love you Breni?? I could go on and on about how great Breni is!! To sum it up...my 16 month old son was waking up at least five times a night, sometimes way more!! Within a week my son was sleeping through the night 6:30pm to 6:30am and two naps during the day!! Can I just say we love you Breni?? I think she's a baby whisperer. 100% life saver. The change we've seen in our daughter 5 days is monumental. The whole family is sleeping better and for that this service is priceless. Update: we are at about 2 months since starting the sleep training and our daughter sleeps a consistent 12 hours a night. We have finally been able to let someone else other than mom and dad put her down at night. We got a night out! I think she's a baby whisperer. 100% life saver. The change we've seen in our daughter 5 days is monumental. The whole family is sleeping better and for that this service is priceless. Update: we are at about 2 months since starting the sleep training and our daughter sleeps a consistent 12 hours a night. We have finally been able to let someone else other than mom and dad put her down at night. We got a night out! She works with you during the consultation and comes up with a plan that is the best fit for you and your family! Breni is awesome! She works with you during the consultation and comes up with a plan that is the best fit for you and your family. This is not limited to the common misconception of just crying it out. It is based on YOUR personal comfort level. She takes into consideration your child's age, what is going on developmentally for the child, and so many other factors including the current sleep situation and personality of your child. You definitely need to be ready to commit to the plan, so that you can achieve success! I was so afraid that after my paid support week, I would not be able to contact Breni for any additional questions or advice. She is more than willing to be helpful to a family that is committed to giving their child the gift of sleep! My little lady caught on extremely quickly, and it takes consistency with all caregivers that are involved. I am forever grateful to have my room and my sleep to myself! (she will even do in home consultation) Thank you so much Breni for your patience and helping my youngest learn to sleep! I was skeptical at first since this is my second child….I didn’t realize how much I forced myself to be ok with. I was skeptical at first since this is my second child....I didn't realize how much I forced myself to be ok with. I was sleeping with my 20month old and nursing him through the night, up from midnight until 4am every hour. I bit the bullet and not only is Breni extremely knowledgeable and tactful (she has a whole bag of tricks) she becomes a friend! She is a shoulder to lean on, when I was having second thoughts she did not give up on me and always checked in and made me feel like I was top priority! I was so amazed at the care and attention she gave me and my family. Being a solo mom (my husband travels constantly) I really didn't think I could do this! We even traveled for the holidays and came home and was able to get right on track! I cannot stress how incredible Breni's sleep plan was and when I listened to her to the letter she was always right! I now have my bed back an incredible sleeper and special time with my older son....which is absolutely priceless! I am SO grateful! and so glad I did this! I wish I could give 10 stars!!! I wish I could give 10 stars!!! My first born didn't sleep through the night until he was 2.5 years old. My daughter was starting to fall in line with him. At 5 months she started waking every 20 mins for 3-4 hour stretches and naps were almost non-existent. Breni was referred to me and I haven't looked back since!!! I never knew how much I was doing wrong/ enabling her to need me to sleep. We're about 3 weeks out and my daughter sleeps THROUGH the night more often than not, her 40 minutes naps are now 2 hour naps and she puts herself to sleep! Breni is amazing and so very helpful! I highly recommend her services! I’m not exaggerating when I say it will change your life! My daughter was a wonderful sleeper until about 5 months old. She slowly started getting worse, waking almost every hour and sleeping half the night in bed with us. We were getting no sleep - or rather only segments of interrupted sleep!! I was very hesitant to use a sleep consultant but after reading reviews, I knew I had to give Breni a call. She is amazing. She gave us the confidence and tools to change our daughter into an amazing sleeper. She now takes consistent naps and sleeps 12 hours at night - she may wake once or twice, but she puts herself back to sleep every time. We even took a road trip a couple months ago where we stayed in 4 different cities in 8 days. We used the tools and knowledge we've gained from Breni, and our daughter slept both at night and for naps exactly as if she was at home in her own crib! My mother-in-law said to me the other day, "I don't know what you paid that sleep lady, but it was worth every penny." I couldn't agree more. If you are considering reaching out to Breni, just go for it! I'm not exaggerating when I say it will change your life!